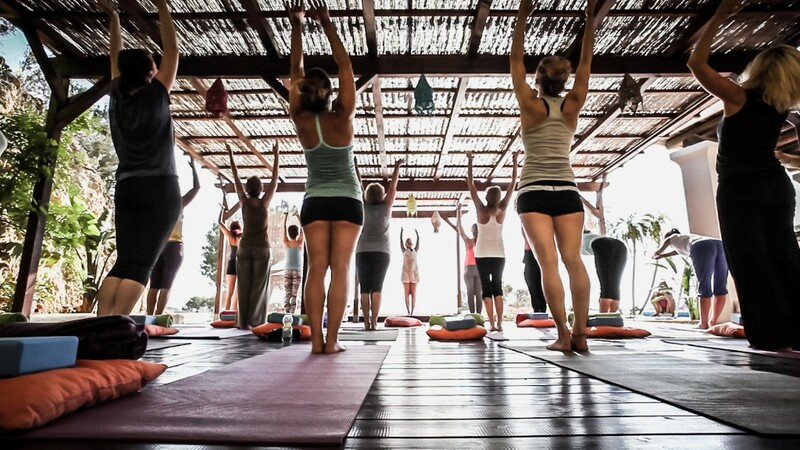 Energize and refresh your body, mind and spirit with a truly exceptional Yoga and Sound Healing Retreat that offers more than you can imagine! We welcome you to the beautiful island of Ibiza. Located in the heart of the Mediterranean sea, Ibiza has crystal blue waters, pine-covered hills, green fields and lots of blue sky and sun. 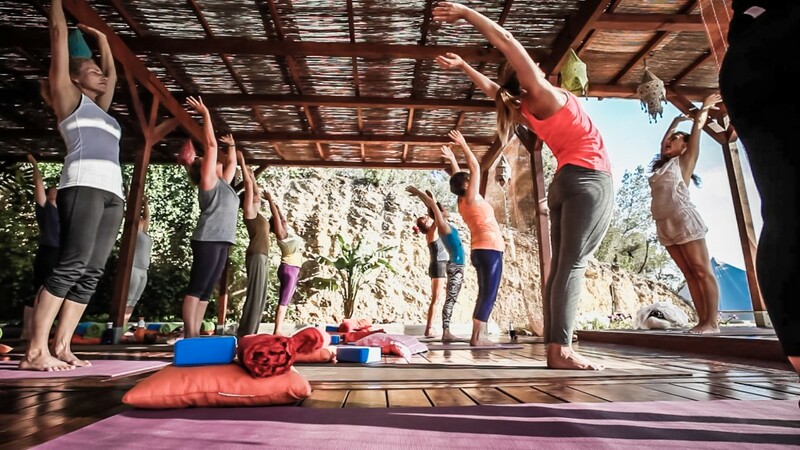 This special retreat combines morning yoga practices , and evening sound baths and healing sessions in a daily basis leaving you with plenty of time to relax in the sun, or explore the beauty of the island. 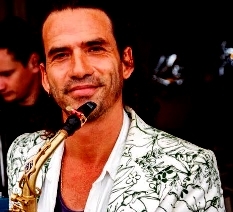 Music has been Deva´s passion for his whole life, and he has been a professional musician for nearly 30 years. He plays several instruments in particular the saxophone, percussion, piano guitar and flutes. He has performed in 57 countries and produced several CDs for meditation in India,Italy,and Spain. 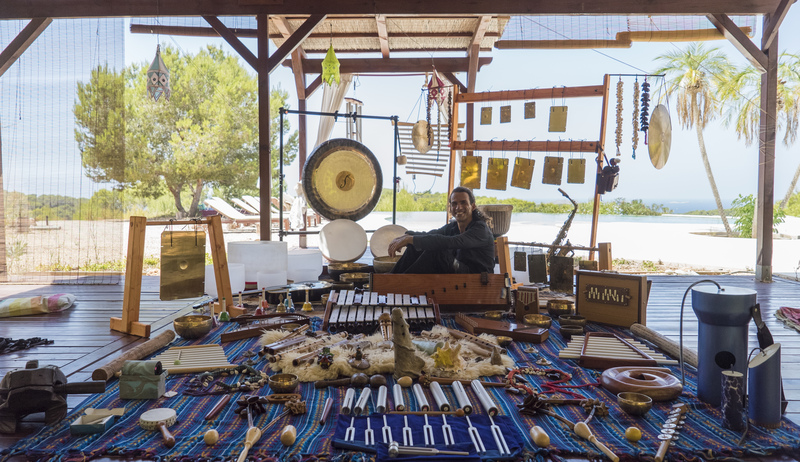 He has been playing for nearly 15 years in meditations, courses ,workshops and spirituals festivals around the world. His meditation and therapy trainings have been the OSHO Humaniversity training at the Osho Gautama Multiversity, Italy, the OSHO International Meditation Resort, Pune, India. 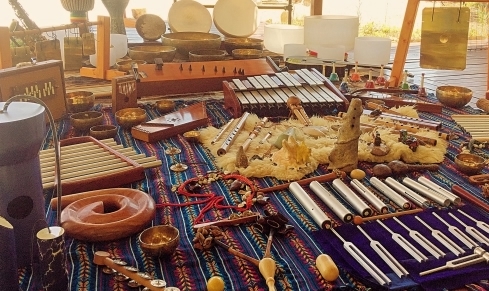 Sound/music healing at Auroville, India, and Vision Quest ,sun and star Shamanic process by “camino rojo”, in Mexico and Ibiza, Spain. He is currently co-director of “Todopuedesonar” Association at Ibiza, Spain. 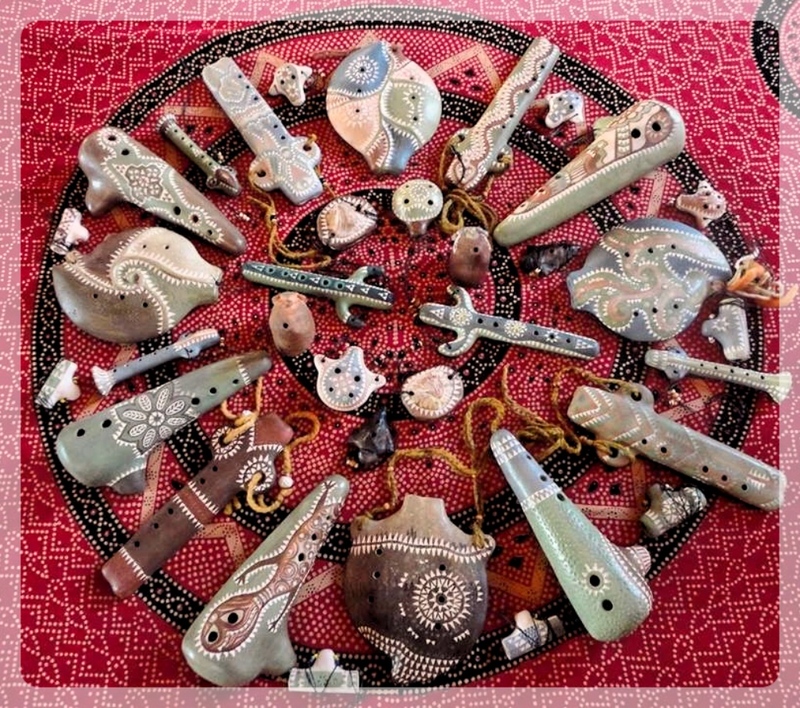 Deva will facilitate the Sound baths and healing sessions. Sound baths are meant to help facilitate a shift in your brainwave state. 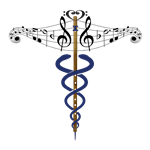 Through frequency and entrainment with sound it’s possible, and very easy, to down-shift our normal beta state (normal waking consciousness) to alpha (relaxed consciousness), with the majority of people able to reach theta (meditative state) and even delta (where internal healing can occur). This experience is helpful for anyone who wants to give themselves a moment of relaxation or gain the benefits from meditation, but has not yet learned how to access on their own. For beginners, meditation requires a verbally guided experience, i.e- go to a quiet place and find a stream or repeat a mantra… The sound bath experience is about letting the sound take you to a deeper place making it easier to arrive in a relaxed state without complicating how to get there. Sound is the vessel and it allows you to explore and identify what a meditative state is and how it feels. Because of this, a sound bath is not only beneficial for beginners of meditation, a seasoned meditator will find as many benefits. © Music & Sound Healing 2019. All Rights Reserved.